Are you a lover of stayers? This filly simply could not have better credentials! From the female family of the illustrious "Let's Elope" by a Cox Plate winner......Not only a quality pedigree but a lovely looking scopey filly with her dads almost black colouring to boot. 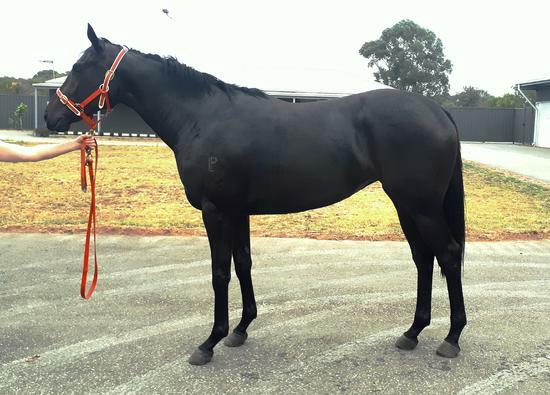 This lovely girl is back in the stables now for some more education and her 3yo half brother and first to race out of Runaway Princess "Buffalo Bill" with Michael Maroney has hit the track with some impressive placings in the last couple of weeks - I am sure he will be in the winners circle very soon and looks a most promising young stayer. The family is full of winners and I am certain this lovely girl will end up yet another one of them. We won't be in a rush so she is ideal for the patient owners who have time on their side! Currently at the breakers and due in the Stable early July.